Treasure Island gets its name from the novel Treasure Island, which was penned by Robert Louis Stevenson. Stevenson lived in San Francisco for a stint during the years of 1879 and 1880. The island plays host to numerous events throughout the year, including the Treasure Island Music Festival, the California International Dragon Boat Festival, and private events such as weddings and family picnics. There is no toll fee to drive between the city of San Francisco and Treasure Island, and at least one city bus line serves the island. A marina offers monthly slip rentals, and boaters can anchor overnight at Clipper Cove if they notify TIDA (Treasure Island Development Authority) in advance. Together with Yerba Buena Island, Treasure Island can make for a great place to film movies, TV shows, and other kinds of video productions. The island's Administrative Building actually played the role of an airport in the film Indiana Jones and the Last Crusade. Other movies that have shot scenes on the islands include Patch Adams and The Parent Trap. Treasure Island is a manmade island located in the San Francisco Bay. It was created in the 1930s for the Golden Gate International Exposition. A World’s Fair event, this exposition was held on the island in 1939 and 1940 and it helped to showcase the city’s two new bridges—Golden Gate Bridge and the San Francisco - Oakland Bay Bridge. The latter, which is commonly referred to as the Bay Bridge, is partly anchored to the natural Yerba Buena Island, which in turn is linked to Treasure Island by a small isthmus. The federal government actually built the island. Imported fill was used during the construction process, and the island sits on top of natural shoals. The intent after the World's Fair was to use it as an airport, but this plan didn’t last long. Not long after the Golden Gate International Exposition, the Navy overtook ownership of the artificial landmass. This airport on the mainland peninsula is now the San Francisco International Airport. The Navy converted the island into the Treasure Island Naval Base, with World War II serving as a main impetus for this action. Many Navy sailors who were destined for Pacific destinations during the war departed from the island, and it was also a major communications center. In 2008, Congress awarded the publicly-held island of Treasure Island to the city of San Francisco. No fee was paid, even though the city had offered the Navy some $40 million to buy it at one point. The Navy officially ended their operations on the island in 1997, and general development began around that time. Today, some 3,000 people call Treasure Island and the connected Yerba Buena Island home, and the area is an up-and-coming place to reside. San Francisco's Treasure Island has become a popular place to enjoy some recreational activities, not to mention some amazing views. The island juts out on the northern side of the Bay Bridge and offers great glimpses of the bridge itself. Various vantage points also offer views of the beautiful San Francisco skyline, as well as Alcatraz Island and the Golden Gate Bridge off in the distance. Views of Oakland to the east can also be enjoyed from Treasure Island, and while spending time along the shoreline, it is often possible to spot sea lions in the water. San Francisco has plenty of must see sights, and they include such famous attractions as Alcatraz Island and the Golden Gate Bridge. Alcatraz Island, which is also known as The Rock, formerly played the role of a military fortification before being converted into a prison. 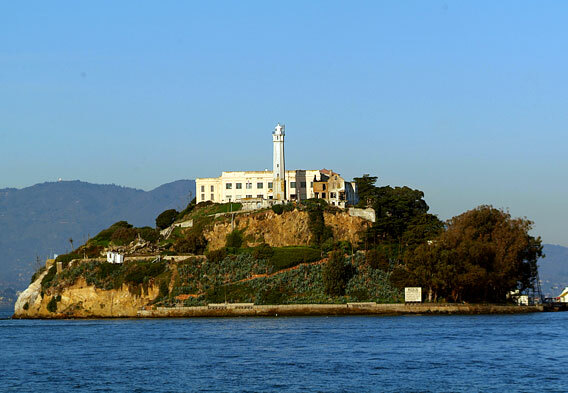 Some of the most notorious criminals of the twentieth century were imprisoned on Alcatraz. They include Al Capone and “Machine Gun” Kelly. Today, Alcatraz is part of the Golden Gate National Recreation Area and is treated as a historic site. Tours are quite popular and easy to arrange. 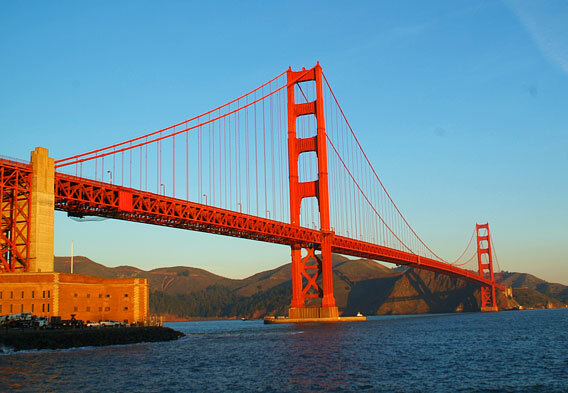 The Golden Gate Bridge is the most iconic attraction in all of San Francisco. An architectural wonder when it was completed in 1937, the bridge links San Francisco to Marin County and is still architecturally amazing to this day. The famous red color of the Golden Gate Bridge helps to make it stand out, and the bridge easily figures among the most beautiful bridges in the entire world. Tourists can cross it by way of car, bicycle, or their own two feet, and tours can be arranged. 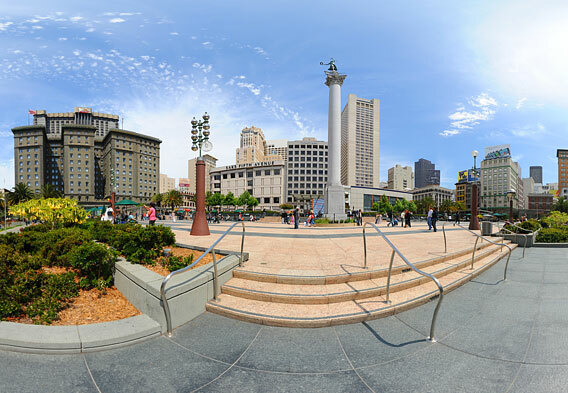 Another attraction that is not to be overlooked on a visit to San Francisco is Union Square. This is especially true for shopping enthusiasts. You can find this lively square near the very center of the city, and it is generally considered to be the main commercial hub. Department stores, shops and restaurants figure among the main attractions that are found in the general area, and some of the best San Francisco hotels are also on or near the square.